Chris and I had been looking to put on something on the wall as daily encouragement and reminder. 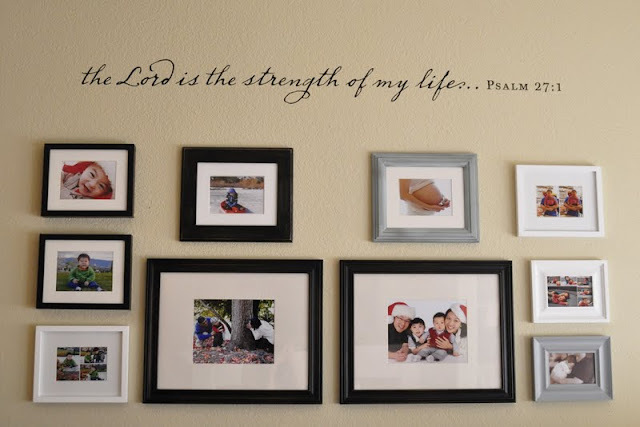 Then I saw the vinyl wall art on Ann Voskamp's homeschool room and knew that it's just want we need. We got it from dayspring when they were having an after Christmas sale. 14 Wait for the Lord;be strong and take heart and wait for the Lord.